Aussie rockers Polish Club have returned to our ear holes with a new single dubbed ‘Clarity’ and a fresh set of national tour dates. The four-minute track — an epic by Polish Club standards — is the first taste of the duo’s forthcoming second album, and bursts with their typically infectious intensity. “It’s about the struggle of communication; not being able or eloquent or ballsy enough to say what you’re thinking; being at the end of your tether with confusion, wanting to be clear with yourself and others,” says frontman Novak. Polish Club will embark on a headline tour this November and December, hitting venues in Adelaide, Brisbane, Sydney and Melbourne, as well as Perth’s Hyperfest event. Catch all of the tour dates and ticket details alongside a stream of ‘Clarity’, below. 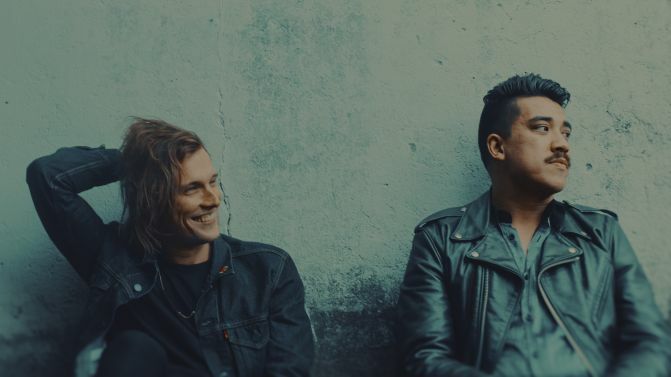 The pair’s next studio album will be the follow-up to their debut full-length effort Alright Already, which scored an ARIA Award nomination for Best Rock Album.